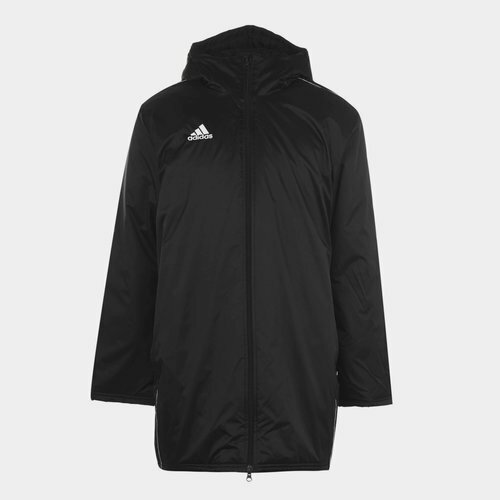 Football won't stop for the cold weather unfortunately so make sure you're wrapped up warm ready to hit the training pitch or match pitch in this adidas Core 18 Stadium Jacket in Black. Stay warm during the cold days when you're at the pitch and look stylish doing it in this men's football stadium jacket from German sports brand adidas. This coat comes in a longer cut with a full hood and padding for insulation to keep you warm and ready for action.